How to Select a Good Cascara? Cascara, meaning ‘skin’ or ‘husk’ in Spanish, is the outer peel of the coffee cherry (berry). 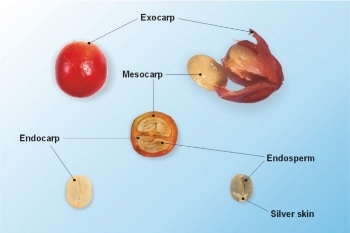 In biological terms, we can say that cascara contains exocarp and mesocarp. The mesocarp contains a lot of pectins and small sugars while exocarp contains mostly polyphenols. It was for a long time a by-product of coffee production. Today, cascara has an added value as food and food ingredient. This content is reserved to the members of the CoffeeBI Community. To continue reading, register for free or sign-up here. Coffee and beverage expert, SCA Authorized trainer & certifier (Barista, Brewing and Roasting modules). Coffeologue training by Coffee Consulate in Mannheim. 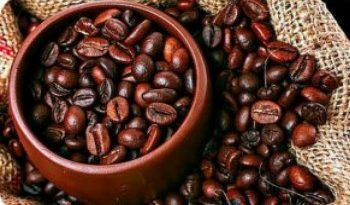 Consultant for coffee expertise for several international companies. R&D and Quality manager, specialist in process optimization and global quality management (ISO22000, FSSC) with strong operational experience in Europe, Africa and Middle-East. Strong competences in project and team management (Black Belt Lean Six Sigma). I am working today in process optimization, starting with coffee pods/capsules production using DMAIC methodology. I am also very active for the overall training program within the SCA Swiss chapter. My last successful project in the coffee industry is the creation of “L’Académie du Café” in Geneva where people can learn all aspects of the fantastic coffee world. All SCA modules, latte art and specific roasting and cuptasting trainings are now available. There is, today, a strong need to learn coffee like we learned wine and wine tasting in the past decade. 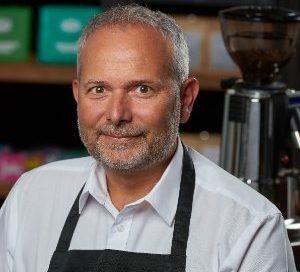 Expertises: Barista, Brewing, Roasting, Espresso, BlackBelt Lean Six Sigma, ISO22000:2005 FSSC, Beverage technology, Quality Assurance, Analytical chemistry, Sensory Analysis and Statistics, Quality Control, Coffee Technology, Flavour Microencapsulation. Coffee and beverage expert, SCA Authorized trainer & certifier (Barista, Brewing and Roasting modules). Coffeologue training by Coffee Consulate in Mannheim. Consultant for coffee expertise for several international companies. R&D and Quality manager, specialist in process optimization and global quality management (ISO22000, FSSC) with strong operational experience in Europe, Africa and Middle-East. Strong competences in project and team management (Black Belt Lean Six Sigma). I am working today in process optimization, starting with coffee pods/capsules production using DMAIC methodology. I am also very active for the overall training program within the SCA Swiss chapter. My last successful project in the coffee industry is the creation of “L’Académie du Café” in Geneva where people can learn all aspects of the fantastic coffee world. All SCA modules, latte art and specific roasting and cuptasting trainings are now available. There is, today, a strong need to learn coffee like we learned wine and wine tasting in the past decade. 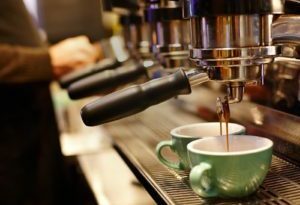 Expertises: Barista, Brewing, Roasting, Espresso, BlackBelt Lean Six Sigma, ISO22000:2005 FSSC, Beverage technology, Quality Assurance, Analytical chemistry, Sensory Analysis and Statistics, Quality Control, Coffee Technology, Flavour Microencapsulation.